Restaurants can have many difficulties staying open in 2014 and may struggle to compete with other restaurants in their area. Restaurant owners tend to have a passion for cooking as well as the food that they sell. Some of the most amazing meals are from the hidden gems in your city! This is why it is important to create a marketing plan. Restaurant owners must have a website included in this marketing plan so that they can hold up against the competition. Restaurant delivery systems are used to implement online ordering for delivery, takeout, or even reservations. Restaurant delivery systems add value to your restaurant and can have a lasting impact. 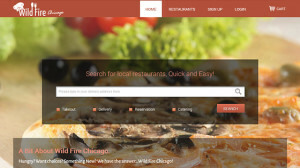 A restaurant delivery system that is properly integrated to your website can completely revitalize your restaurant! The iScripts NetMenus restaurant delivery system can be integrated into an existing website or the software can be used to create a new website. The initial benefit to a restaurant delivery system is that new customers are able to find your restaurant or the restaurant’s website through your internet marketing and then place orders online in hoped that they may love the food and become long-term customers who order from your restaurant weekly. This added reach can generate more foot traffic to your restaurant regardless of dining in, take out, or delivery. The iScripts NetMenus restaurant delivery software can be set for a single location restaurant as well as a restaurant with multiple locations with Google Maps integration. Customers can find the location closest to their area for added convenience! 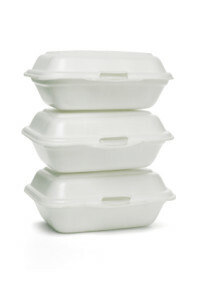 Next, takeout is a great capability that all restaurant owners should add to their businesses. When a customer orders takeout, they are foregoing the sit-down experience to eat in the comfort of their own home, office, etc…This is mutually beneficial for the restaurant owner because there are fewer expenses that must be accounted for. There is no need for a waitress or a busboy to help that customer. The food is simply cooked and packaged; then, it is paid for and given to the customer. In the end, regardless of a restaurant having the tastiest dishes in the area, it is up to the restaurant owner to make the restaurant a success. A restaurant delivery system can greatly improve the ROA (return on assets). Some restaurant delivery systems have a monthly fee which may further dig into the profits, but iScripts NetMenus is a flat rate product in which you only have to purchase the software once. Then, you are the owner and have the full rights to the software. The customizable software is open source and can be modified at any time. This system even comes with a brandable iPhone app for free. Take your business to the next level with this online ordering, restaurant delivery software and a modern phone app for your customers. iScripts ReserveLogic Version 2.0 Released! How Do I Work Effectively With My Turnkey Software Provider?